Microsoft co-founder Paul Allen said he found Windows 8 puzzling and confusing initially, but is confident that users would eventually learn to like the new operating system. In a post to his personal blog Tuesday -- strangely titled in the third person as, "Paul's take on Windows 8," Allen said he has been running Windows 8 Release Preview -- the public sneak peak Microsoft shipped May 31 -- on both a traditional desktop as well as on a Samsung 700T tablet. The latter, designed for Windows 7, not its successor, has been handed out or loaned in quantities by Microsoft to developers, analysts and members of the press in an effort to convince them to create software, or try out the touch-first features of Windows 8. "I did encounter some puzzling aspects of Windows 8," Allen wrote, and said the dual, and dueling user interfaces (UIs), were confusing. "The bimodal user experience can introduce confusion, especially when two versions of the same application -- such as Internet Explorer -- can be opened and run simultaneously," Allen said. I have to say that I am really disappointed with the negative press 3D Guru has been giving Windows 8. This article is the perfect example how to twist a story to suit your point of view... I notice that you never posted the part of the article where Paul Allen said "In summary, I'm excited about Windows 8 and am confident that existing Windows users will feel the same after they have had a chance to use it." I myself have been using Windows 8 RTM on my gaming rig and laptop since it became available in August and haven't looked back.. Is it perfect "no," is it the first step to something new and inovative which will change the way Windows users interact with their PC's, tablets, laptops? "I believe it is." Spreading hate and misinformation is not helping anyone, you should stick to topics that you actually know about. I've tried to like Windows 8, i've tested each beta release and the RTM and i just hate it. They haven't really added anything worthwhile that Windows 7 can't already do. The only machine its actually worth putting it on is either a touchscreen tablet or a windows phone. As well as being unnecessarily long-winded it also looks cheap and fugly. Also, if people don't like the "Metro" desktop, they have the option of using the classic desktop. I think that Win8 is going to be skipped big time and Win9 will be the "next step" for a lot of people if it will give enough new features to attract the Win7 users. It is that Win 7 is very robust and well designed,at least for me. I think that you cant make a "jack of all trades(windows)" so to speak as the Win8 does look. I definitely agree that there is little need to upgrade from Windows 7 due to the fact that Windows 7 does what most people require from an operating system. I used Windows 8 on an Acer Iconia tablet first and so came to understand the concept of the touch elements. It really is amazing how quickly you get used to utilising another mode of input. If Windows 8 is going to drive the next wave of hardware innovation then it can't come soon enough in my opinion. This sensationalist style of reporting (where they take advantage of the fact many people are too lazy to read the article, and just read the headline) is everywhere these days, I would rather it wasn’t here as well, but people have bills to pay. Speaking of laziness, I’ve still been too lazy to spend anytime with W8, but glad to hear someone else say that it’s normal to be confused at first but eventually you will love it, which does seem to be the case with most people. I'll probably skip Windows 8 this time, or at least until they "fix" the absence of a proper start menu. Metro interface is NOT for me, as it's not for many users. If there's no way back, after MS drops win7 support (2020), I'll move to another OS. MS really need to learn how to do the most basic of jobs right, they really do. I don't ever remember emailing them with a request for Windows 8, yet they want me to buy it - did anyone else on these forums email MS with a request for Windows 8? Puzzling & confusing is indeed not an understatement. - Office 2013 metro apps open in Desktop ??? For me there are still too many flaws to the logic of Win8. Desktop/Metro doesn't live well enough together. I have found, as have others, that unless EnableLUA is disabled, you can't make changes to other drives created in Windows 7. Of course, setting it to disabled disables you from being able to run Metro Apps. Even with EnableLUA enabled, Metro Apps still seem to update though, and I see them potentially using a lot of download which would be bad on bandwidth limited services. Also, Windows Apps seem to take a lot of disk space for what they are. Those saying don't complain about it, how come they removed Aero? especially now that Windows 8 finally brings in a fully accelerated desktop? There's lots of negative aspects about it. Of course, we can modify it almost back to how we like it, but that defeats the purpose, doesn't it? This sums it up quite well. Yes, most people will be stuck using the Metro interface and be put off. By defeating the purpose, I mean the intent of making it 'simpler', whereas in fact Microsoft made it much more difficult. The interface was NOT to make things better for the desktop/laptop environment, it was just to make a uniform system across desktops/laptops/pads/phones. That, and to make money in the app store. sorry still dont care, win8 OS imo is for touch screens meaning Cell's and Tablets. Not a computer. Far as I concerned Win8 is the next ME/Vista tried them all and hated them all I never have or would put those on my own personal computers. Still waiting for the day I wake up and see APPLE is suing Microsoft for the OS looking and feeling like there phone OS, considering they sue for anything and everything this remotely similar to there stuff. Yes and no. The only thing that's a bit awkward is upper right corner, imo it would be better if it was on the left side and left side opened apps on the right. 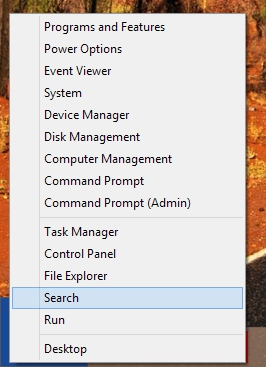 in metro start menu (or apps) you move with mouse wheel - looks smooth, or press mouse key to grab the screen left-right. If you know these tricks it can be fast and metro doesnt drag down daily productivity., actually you have bigger view of your favorite apps, instead of having multiple desktop icons.